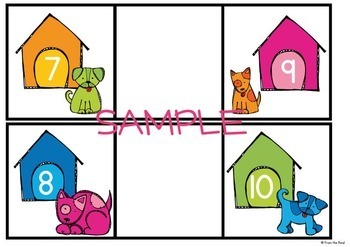 Create fun and motivating center game and math tub activities with our series of number focussed games! There is a hound missing from the street and the dog houses need to be put in order! This printable resource will let you make a fabulous game to help your students learn to order numbers 1-20. It will also help them recognize instantly, numbers that come before and after a given number. 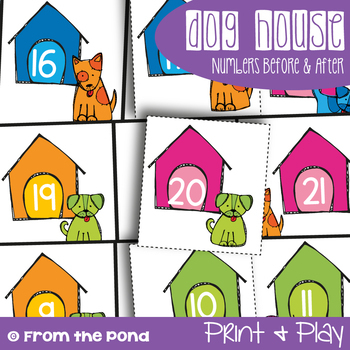 Print the cards and encourage your students to have lots of fun ordering the numerals. 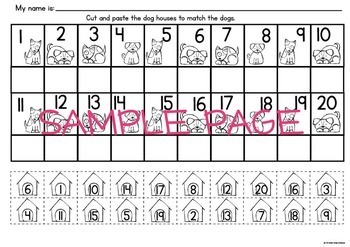 This file also includes bonus worksheet and cover page to help organize your resources! Numbers to Twenty Ultimate Pack 1Find more fun games, centers, printables, worksheets and crafts for Numbers to 20 in my TpT store HERE!